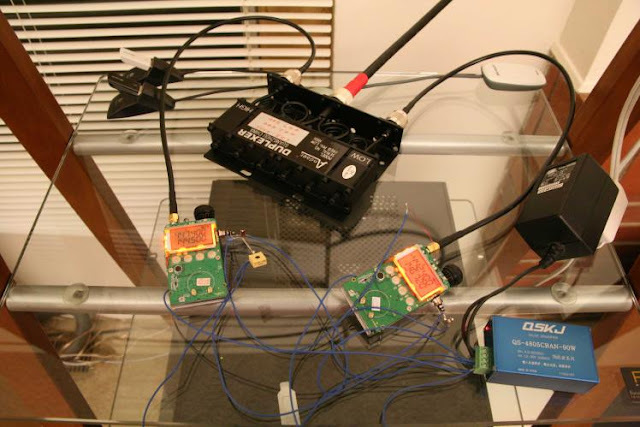 Bart (eo512) has created a UHF repeater using two UV-3R Mark II and a small UHF duplexer. He thinks he'll be in the hole for less than $200 (excluding antenna and feedline) for the project. I'll have to check back later as he indicates he'll add more notes about the setup.